The atrocities committed by Islamic State as it spreads its tendrils across the world underscore a wider conflict taking place between liberal democracies and those drawn to revolutionary Islamism - often angry and disenfranchised people railing against the predominant ideological system who have found recourse in the new way of life offered by their particular reading of scripture as the angry and the disenfranchised might once turned to socialism or nationalism. But what so violently battered down the doors of the public consciousness on September 11, 2001 and returned with renewed vigour with the rise of Islamic State is not simply a battle between jihadis and the West, but a battle for the heart and soul of Islam itself between those who see it as a religion of peace and tolerance and that minority who want to drag it back to a wholly darker age. The man was radical preacher Muhammad ibn Abd-al-Wahhab who, in 1744, formed an alliance with the leader of a small clan presiding over the tiny oasis town of Dariyah, Muhammad ibn Saud. Abd-al-Wahhab saw it as his mission to ‘purify’ Islam, purging it of influences and practices it had acquired throughout the ages and bringing it back to what he saw as the principles of the Salaf, or pious ancestors - those who knew the Prophet Muhammad and the two generations succeeding them. Any act of worship involving anything other than Allah, even those focussed on the Prophet Muhammad, were considered shirk - the sin of idolatry or polytheism. People who practiced such customs, alongside Shiites and Sufis, were not considered true Muslims. They were given a choice: convert or die. The Wahhabis’ successes and excesses eventually drew the attention of the Ottoman powers and the first Saudi state was crushed in 1818. Cast back into the Nadj, there they lay dormant for almost a century. Wahhabism may have remained just another one of history’s failed fanatical ideologies were it not for the outbreak of World War I and an alliance between Ibn Saud’s heir, Abd-al-Aziz, and the British which helped bring down the Ottoman Empire. 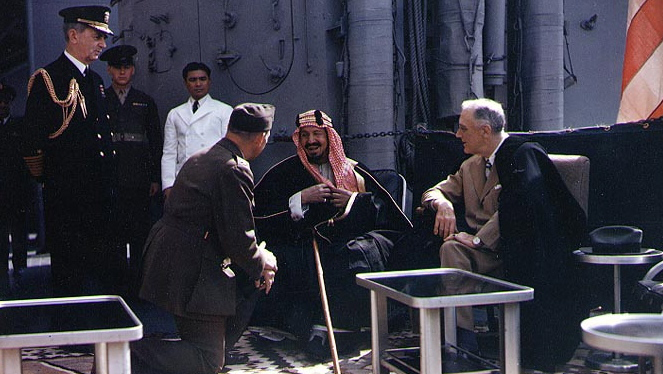 With the arms and money of their superpower ally, this new generation of Wahhabis went on to reconquer Mecca and Medina and thus the Kingdom of Saudi Arabia was born. 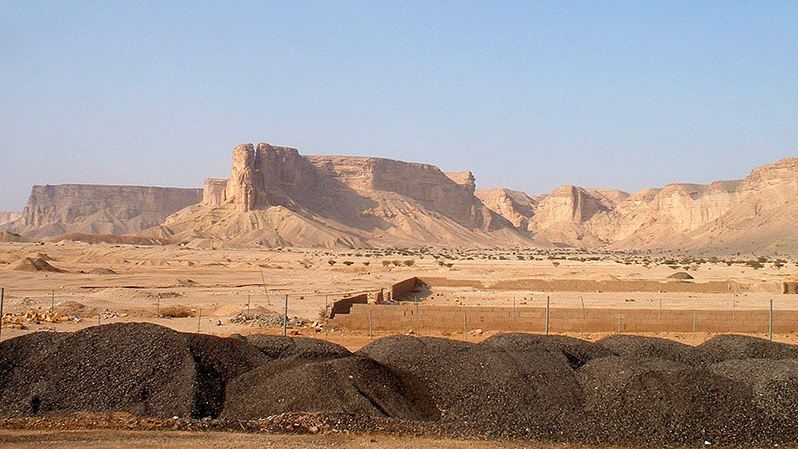 Even then, the extremist, ultraconservative form of Islam followed by Abd-al-Wahhab’s descendants may have remained constrained to the Arabian peninsula were it not for an important discovery beneath its desert sands: oil. From a remote oasis to the heart of the global economy, the House of Saud had all the glory and power Abd-al-Wahhab first promised it. What’s more, after the 1973 Yom Kippur War and oil embargo in response to US aid to Israel sent oil prices rocketing, it had the abundant wealth to spread its ideology to all corners of the Muslim world and beyond. 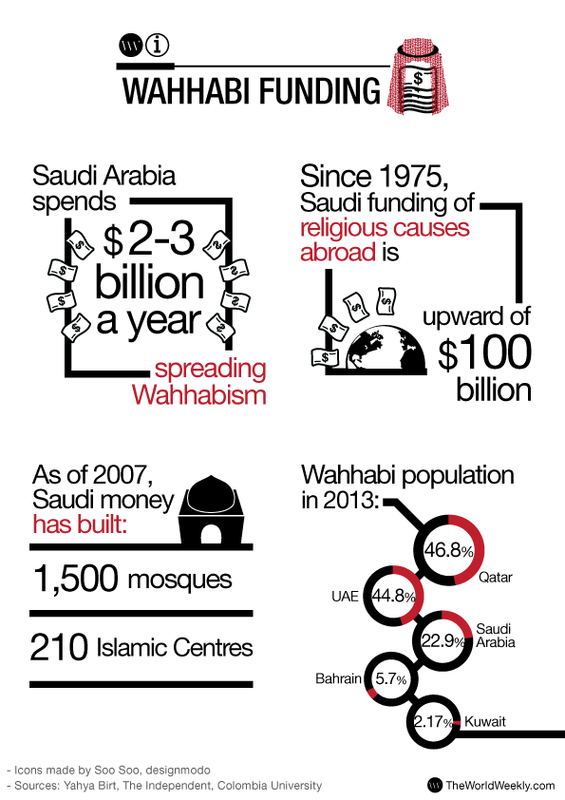 Since 1975, Saudi Arabia has spent an annual $2-3 billion on spreading Wahhabism around the world, according to academic Yahya Birt, a figure up to three times higher than the Soviet propaganda budget. A US Senate committee on terrorism heard in 2003 that in the previous 20 years Saudi Arabia had spent $87 billion on promoting Wahhabism worldwide. As of 2007, the money had been used to build more than 1,500 mosques, 210 Islamic Centres and dozens of schools. And whilst using its wealth to bring its version of Islam to the world, Saudi Arabia has also been intent on bringing the world’s Muslims to it: the Islamic University of Medina has more than 5,000 students from 139 countries and the Saudis have reserved 85% of places for foreigners. The effect of this proselytising of Wahhabism has been a dramatic impact on Muslim communities around the world and the beginnings of a conflict over the meaning of Islam itself. Europe plays host to a sizeable Muslim population with diverse origins. In 2004, North Africans made up an estimated 10% of the French population, while in Germany, Turks comprise the largest ethnic minority with 3.5 million people of Turkish origin living in the country in 2010. The early generations of Muslims coming to the United Kingdom after World War II, meanwhile, were largely made up of socio-economic migrants from the empire’s former colonies in South Asia and that had a bearing on the relationship between faith and nation people held. In the 1980s, Mr. Rafiq says, a different type of Muslim immigrant began to arrive. They were more often asylum seekers from the Middle East, Tunisia and Algeria and they brought with them a political activism that the socio-economic migrants didn’t have. The new fired-up, politically displaced migrants had a desire to spread Islamist views among the Muslim population and they found willing funding from the Wahhabis of countries such as Saudi Arabia, Kuwait and Qatar to do so. Over time, the Wahhabi appeal was spread to the children and grandchildren of the first generation South Asian immigrants, a politically detached generation of young Muslims who, because they neither grew up in Pakistan nor held the sense of loyalty to the country that took their parents in, have been left in search of their own identity. Funding mosques and faith schools and channelling their vast wealth through a network of charities and organisations such as the Muslim World League, founded in 1962 as a counter-initiative to secular Arab nationalism, the Wahhabis of Saudi Arabia as well as Qatar, Kuwait and the United Arab Emirates have been able to disseminate their Salafi ideology and steadily gain influence. Through these institutions, Mr. Rafiq argues, they taught young Muslims that their parents’ faith was wrong. Salafism refers to the movement within Islam that takes its name from the Salaf, or pious ancestors, whom Abd-al-Wahhab saw as the epitome of Islamic practice. The term Salafism and Wahhabism are often used interchangeably, though Salafis tend to view the term Wahhabi as derogatory. Not all Salafis accept the Saudis as guardians of the true faith, however. Some, such as radical activist Anjem Choudary, believe that the Saudis long ago lost their way, pointing to the British assistance they received in founding their state. Nevertheless, it is doubtful that the ideas taken up by the Salafi jihadis would have been able to spread so rapidly among Muslim populations without the vast oil wealth of the Wahhabi states. Mr. Vallely cites a disputed 2007 report by academic Dr. Denis MacEoin, which claimed to have uncovered extremist literature in a quarter of Britain's mosques, all published and distributed by agencies linked to the government of Saudi King Abdullah. The report in question faced allegations that some of the receipts claiming to prove the sale of extremist material had been forged, and that some of the literature had come from bookshops apparently unconnected to the mosques named in the report. It also faced a failed attempt by the Board of Trustees of the North London Central Mosque Trust to sue for defamation. According to Mr. Rafiq, it is easy to telephone one of the charities providing funding to these institutions to say you are setting up a mosque and then “a truck load of hate material would be sent over to you”. Wahhabi influence, Mr. Rafiq argues, has been further entrenched through institutions across all walks of life, even including football clubs and gyms, set up in parallel and apart from mainstream society. The result has been a change in elements of Muslim culture in Britain. Wahhabism has spread just as rapidly in continental Europe, perhaps even more rapidly on account of the ease of travel and movement of money. 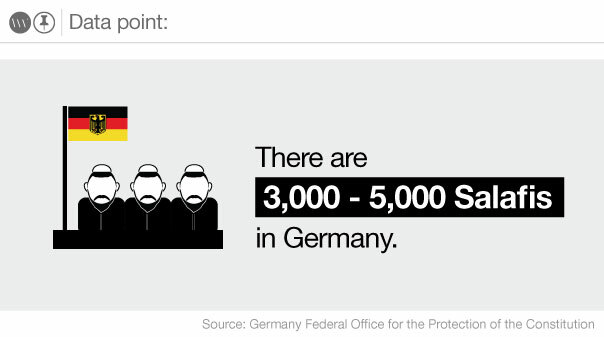 In 2013, Germany banned three Salafi groups, DawaFFM, Islamische Audios, and An-Nussrah for being incompatible, according to authorities, with the country’s democracy. The move followed increasing scrutiny of a Salafi group calling itself The True Religion, handing out free Qurans, which German politicians accused of spreading radicalism in the country. "[The groups] aim to change our society in an aggressive, belligerent way so that democracy would be replaced by a Salafist system, and the rule of law replaced by shariah law,” Interior Minister Hans-Peter Friedrich said. Wahhabism is perhaps taking hold even more rapidly in France. According to the French Ministry of the Interior, the number of Salafis in France has risen from several dozen in the 1990s to some 13,000 now. 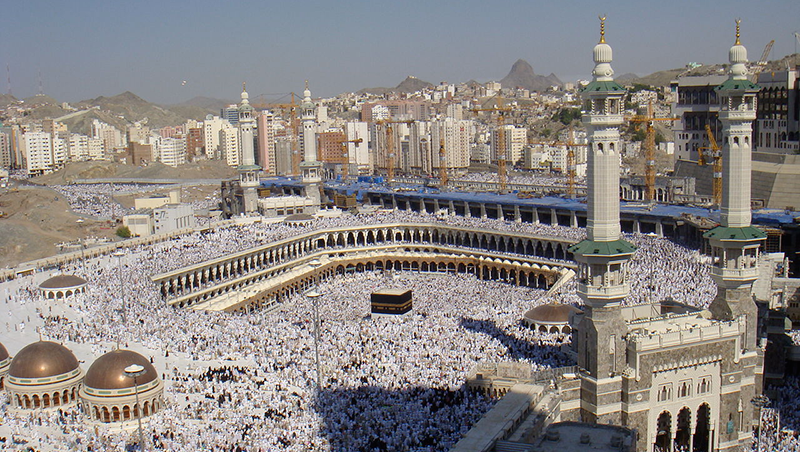 This rise too has been funded through the charities and networks established by oil-rich Middle Eastern states, including money poured into Saudi satellite television channels providing a platform for radical Salafi preachers and donated to allow Arab students to attend religious courses at universities in Mecca, Medina and Riyadh. "Most of the students at Medina University are foreigners who benefit from generous scholarships handed out by Saudi patrons, as well as free accommodation and plane tickets," Samir Amghar, author of ‘Contemporary Salafism: Sectarian movements in the West’, says in an interview with France 24. “Once they have graduated, the brightest are hired by the Saudi monarchy, while the rest return to their respective countries to preach Wahhabi Islam." France’s treasured principles of secularism in 1905 put an end to all state funding of religious groups and made all religious buildings property of the state, which continues to pay for their upkeep. As Islam is a relatively late arrival to France, mosques do not benefit from state upkeep in the same way as older churches and the ban on state funding for religion has left a gap in the market for Wahhabis to fill. The Lyon Mosque, for example, was funded by Saudi Arabia to the tune of $2.9 million. Three years ago, Qatar announced plans to invest $65 million in French suburbs. It is in these poverty-stricken ghettos that millions of marginalised French Muslims have been consigned in the face of widespread discrimination and it is here that radical Wahhabi ideas of the kind that influenced the Kouchi brothers and Amedy Coulibaly who carried out the January Paris attacks have found fertile soil. Elsewhere in Europe, Saudi Arabia has been equally profligate in its proselytising. The Cultural Centre in Brussels has received total over $5 million in support, the Islamic Centre in Geneva is given over $5 million annually, and the Islamic Centre in Madrid has had a of $7.1 million in Saudi support. Meanwhile King Fahd (who died in 2005) donated $50 million to cover 70% of the costs of constructing the Islamic Center in Rome, which also receives an annual donation of $1.5 million. Across the Atlantic, the Wahhabis have also been spreading their influence among the US Muslim population. King Fahd pledged $8 million to build the Masjid Bilal Islamic Centre in Los Angeles, for example. However it is not just in the mosques that radicalism is spreading. The Wahhabis have turned to prisons, with a particular focus on black Americans. In his 2005 book, ‘The Quartermasters Of Terror: Saudi Arabia and the Global Islamic Jihad’, Mark Silverberg reports how Saudi money is being used to fund a special programme looking to convert African Americans in prison. Prison radicalisation is a problem other Western governments face as well, not least France where 60% of inmates, around 40,000 people, are Muslim. Despite this, there are only 169 Muslim chaplains compared with 655 Christian chaplains and 80% of French Muslim prisoners do not see a chaplain, which could increase their risk of independently falling into the orbit of radicals. Parents talk of their children going into prison as drug dealers and coming out as fundamentalists. Whilst America, alongside its allies, has fought what its government calls a ‘War on Terror', invading Afghanistan and Iraq and initiating two conflicts that have lasted longer than the first and second world wars combined, it has done little to combat the spread of the ideology behind the terrorists who struck on its soil on September 11. 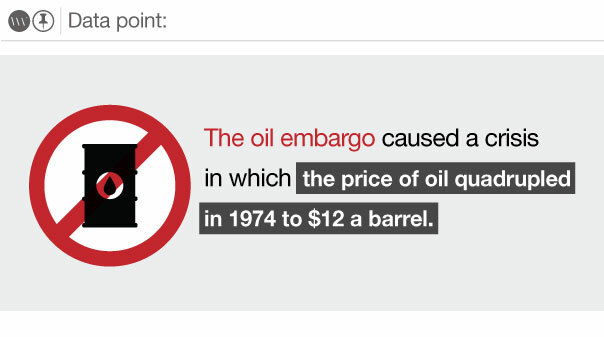 It is simply too tied itself to Middle Eastern oil. Bob Graham, a former senator and co-chairman of the official inquiry into 9/11, has questioned US reliance on Saudi Arabia in the fight against Islamic extremism. “I believe that the failure to shine a full light on Saudi actions and particularly its involvement in 9/11 has contributed to the Saudi ability to continue to engage in actions that are damaging to the US – and in particular their support for ISIS [Islamic State],” he said in an interview with the Independent. Wahhabism has existed in China since the late 19th Century, primarily as a result of Chinese Muslims returning from Hajj. Although it was suppressed under Mao alongside other religions and many of its leaders killed or sent to concentration camps, the reform and opening up from 1978 allowed Salafism to flourish once more with the arrival of Saudi organisations and preachers in China during the 1980s. Mohammed al-Sudairi, writing in the Diplomat, notes that initially, religious activities were limited to influential groups like the Organisation for Islamic Cooperation, the Muslim World League, and the Islamic Development Bank, and encompassed the construction of various Islamic institutes, the renovation of major mosques, the initiation of a Quranic printing and distribution project that saw more than a million copies distributed across China in 1987 as a “royal gift” from the Saudi King and the provision of training workshops for clerics and scholarships for students. The result of this, as well proselytisation by private Wahhabi organisations and individuals as China opened up further in the 1980s, has been a degree of salafisation of Hui Muslim society, which “subsumes the adoption of presumably Salafi doctrines, prayers rituals, attitudes, and even culturally authentic attire (the Saudi headgear worn in a manner usually associated with the religiously conservative in the Kingdom) and mosque architecture under what can be described as an Arabisation process”. In poorer, predominantly Muslim, countries such as Pakistan, Bangladesh and Indonesia, Wahhabi money goes even further. A 2008 cable sent by Bryan Hunt, then Principal Officer at the US Consulate in Lahore, to the State Department revealed that “financial support estimated at nearly $100 million annually was making its way to Deobandi and Ahl-i-Hadith (a term often used interchangeably with Wahhabi) clerics in south Punjab from organisations in Saudi Arabia and the United Arab Emirates ostensibly with the direct support of those governments”. According to reports in Indian newspapers, quoted by Jonathan Manthorpe of the Vancouver Sun, Saudi Arabia has a $35 billion programme to build mosques and religious schools across South Asia, where there are major Muslim communities in India, Pakistan, Bangladesh and Kashmir. Part of the Islamist appeal in poorer Muslim countries is their provision of services to deprived people who have been failed by their governments. Pakistan is a country that has long relied on civil society institutions for the provision of vital public services and Islamist organisations, such as Jamaat-e-Islami’s affiliate, the Al-Khidmat Foundation, has been able to fill a gap in a country where 44% of people face malnutrition. Al-Khidmat has been involved in disaster relief efforts, including the provision of 10,000 shelters for those affected by the 2005 earthquake. It has also been providing education, orphan sponsorship projects, clean drinking water in remote areas, subsidised vaccination against Hepatitis B, medical aid, Ramadan gifts, Eid packages, ambulance services and blood banks. A document presented to the EU Parliament revealed in 2013 that Islamist organisations active in India, Pakistan, Bangladesh and Afghanistan such as Jamaat-ud-Dawa and Jaish-e-Mohammad aim to convince families that their poverty has been caused by their deviation from “true Islam” – particularly for following the Sufi creed. To return to the “right path” they had to offer one or two of their sons to the cause of Islam. With Wahhabism comes takfir, the practice of one Muslim declaring another an apostate. And such ideas have had deadly consequences for Pakistan, fuelling sectarian violence and attacks on the country’s Shia minority, as well as Ahmadis, Hindus and Christians. The violence has left the Muslim world’s only nuclear power on the brink of becoming a failed state. 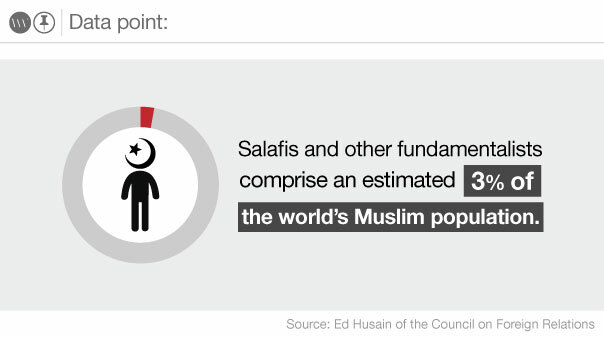 Does Salafism lead to violence? The state-sponsored spread of Salafism was employed at first as a defence mechanism against external and internal threats, particularly the challenge of rising Marxism and Arab nationalism to Saudi Arabia and Shia militants in Kuwait following the Iranian revolution, and the Gulf states used Islamism as an ideological weapon. During the Cold War, the weapons became much more real with Saudi Arabia’s support, alongside the US, of the jihadis fighting the Soviet occupation of Afghanistan. As such, there has long been a violent element connected with Salafism: the September 11 attacks infamously made Salafism synonymous with terrorism in the international mindset. If people in the West had begun to forget in recent years as the media agenda moved on to the financial crisis and the resurgence of Russia, the atrocities of groups such as Islamic State, Boko Haram and al-Shabaab came as a rude awakening. The majority of Salafis are not terrorists, of course, even if many terrorists are Salafis. Violence is certainly not the inevitable conclusion of Salafi ideas. However Mr. Rafiq believes that Salafi theology spread by Wahhabi funding has created a base from which extremists can recruit. The problem, particularly, is converts, who often tend to be among the most zealous adherents to any ideology or religion. Salafism is not simply a religious ideology, however, it is also a political one and grievances against Western foreign policy towards the Muslim world have served as recruiting sergeants for extremists. The generation of young Western-born jihadis going to fight in Syria would have grown up during the wars on Afghanistan and Iraq - as well as the Second Palestinian Intifada - in which hundreds of thousands of Muslim civilians were killed. When these political grievances are combined with an intolerant ideology and the belief (disputed by the vast majority of Muslims) that god rewards attacks on infidels, the seeds of violent extremism can find fertile ground. Although Salafism may provide recruiting ground for terrorists, it is also non-violent Salafis who often guard against terrorism. Even the Wahhabi Arab states whose streams of funding fed the ideological pools in which violent extremism was able to breed have now woken up to the monsters they have created. The House of Saud’s split with the most radical revolutionary Islamist fighters who helped bring it to power dates back to the Kingdom’s foundation. The Ikhwan, as they were called, were angered by Western influence and the closeness of Abd al-Aziz (who was knighted by the Queen) to the British Empire. In 1929, they launched a rebellion and Abd al-Aziz had them massacred. But the revolutionary fire at the heart of Wahhabism could not be so easily extinguished. Indeed, it thrives upon opposition and suppression. After Saddam Hussein invaded Kuwait in 1990, the Saudis, fearing they might be next, allowed American and allied forces to deploy troops within their territory. The decision to allow Western troops onto Islam’s holiest soil enraged a small group of Wahhabis - who had previously enjoyed Saudi funding in their successful battle against one superpower - and they turned violently against the House of Saud and their friends in the West. They were called al-Qaeda. In the Syrian Civil War, an even more terrifying monster than al-Qaeda rose from the fires of conflict in the form of Islamic State. The Saudis and Qataris funded and assisted anti-Assad Islamist rebels, but with Islamic State’s advance, many of these groups were either swept away or saw where the power was and switched sides, bringing Wahhabi state money and guns with them. The Wahhabi countries might never have directly funded Islamic State, but the violent jihadi movement did not form in a vacuum and although it now finds itself in opposition to the kingdoms that have allied with the West, the ideas of its militants are the ideas first preached by Abd-al-Wahhab and spread across the world with the oil wealth of the nation to which he first promised power and glory. Now it is clear that the Saudis have lost control of the forces they unleashed on the world. Mr. Rafiq says the Saudis and Kuwaitis are no longer funding Islamist groups for fear of what they’ve created, however Qatar (“the biggest problem at the moment”), although it is not funding Islamic State, is still funding some Islamist groups - as well as mosques and faith schools controlled by those groups - as a counter balance. A policy Mr. Rafiq likens to funding the far-right British National Party to stop the more extreme Combat 18. Saudi Arabia early on warned of the danger of Islamic State, cautioning the West that if the jihadis are ignored, they will soon reach Europe and America and this has proved true. But perhaps the ultimate battle will not be between violent Salafi jihadis and the West. The much greater battle, in which the governments of countries such as Saudi Arabia, Qatar, Kuwait and the United Arab Emirates, are clearly aligned with al-Qaeda and Islamic State, is for the soul of Islam itself. Beyond the battlefield and security measures, Western governments are looking at ways to tackle the spread of extremist ideologies. But it is important to recognise that, for the most part, their primary challenge is not to the West. With the clash of civilisations mentality that has gripped the world since 9/11, it is easy to forget that the larger conflict is one internal to the Muslim world. “The West is merely a bystander - an unwary yet complicit casualty of a rivalry that is raging in Islam over who will write the next chapter in its story,” writes Dr. Aslan. Dr. Aslan believes ultraconservative interpretations of Islam - as typified by Islamic State, and also the leaders of countries such as Saudi Arabia, Qatar and Kuwait - are engaged in a struggle with the more liberal, compassionate interpretation of the faith that he advocates. The issues Islam is currently grappling with, he argues, is something all major religions grapple with to some extent and he likens to process to the 16th Century Reformation, which took place at a similar point in Christianity’s evolution. For Mr. Choudary, on the other end of the spectrum, “liberalism is anathema to Islam and shariah”. But for Dr. Aslan, not only can Islam and the ethical ideals of Muhammad be used to establish a genuinely liberal, pluralist democracy that values human rights in the Middle East, but it must. And this is something that can never be imposed by the West, only nurtured internally, founded on familiar ideologies and in a language that appeals to the indigenous population. What he now sees is the Islamic Reformation. If Dr. Aslan’s vision is to be realised, then it will require the victory of an interpretation of the faith that embraces diversity, which he sees as having been at the core of Islam from the beginning, over the “imaginary ideal of original purity” promoted by the Wahhabis. There are certainly a great many Muslims who share many of his sentiments and would like to see the opinions of the majority, not a vocal minority, rise to the fore. An Islamic Reformation may be made more difficult by the lack of a central faith leader in Islam since the fall of the Ottoman Empire, however. And Dr. Aslan’s ideological opponents control Mecca and Medina and the oil underneath the sands of Islam’s birthplace and both have been used to spread their influence over the religion far and wide. This is something Mr. Rafiq believes will take a generation to fix and he wants to see the Wahhabi states opening up to a free-market of ideas, empowering and permitting through funding the discourse between different forms of Islam, and encouraging Salafi institutions to become non-violent traditionalists. Dr. Aslan, however, is confident that the project of violent cleansing began by Muhammad ibn Abd-al-Wahhab is ultimately doomed. And yet, few things are certain in politics or indeed religion, much as many adherents might profess to the contrary. The damage the Wahhabis have inflicted to the heart of the religion since an exiled man came upon the sanctuary of an oasis in the middle of the 18th Century and the unforgiving Najd desert has already been done, and there will be far more casualties before the battle for the soul of Islam is won.